Today’s tip is all about adaptability. Sometimes it’s important to be flexible in design. Interiors can evolve just like anything else. Maybe a particular item is no longer in production (that’s totally happened), or you stumble across something you absolutely love and must incorporate in the design (that’s totally happened, too). It’s a refining process, and it forces you to adapt the initial concept into something even better. So what’s my overall point to all of this? 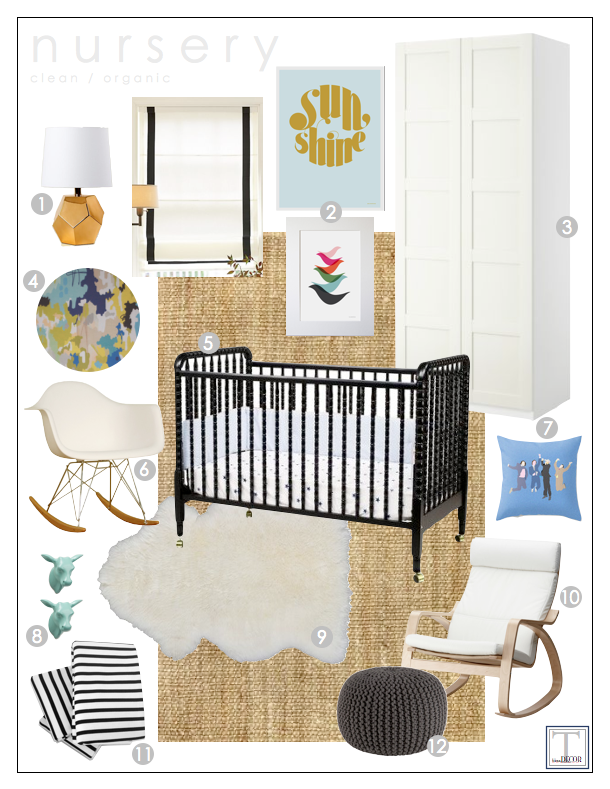 Since that time, I’ve found a couple things to be no longer available (the exact crib), or not as functional as I’d like them to be (R has insisted on a cozier rug for lots of floor-time playing). We found, and fell in love with the new crib. It’s the Oslo crib by Karla Dubois. Super stylish without breaking the bank. Yay! 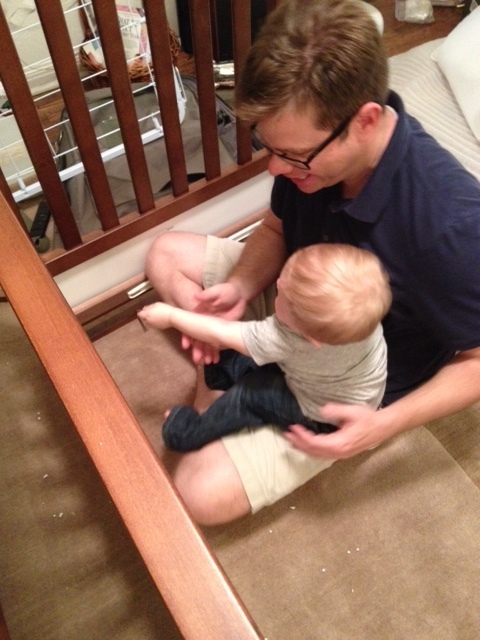 We also loved the District Storage Bench from The Land of Nod. 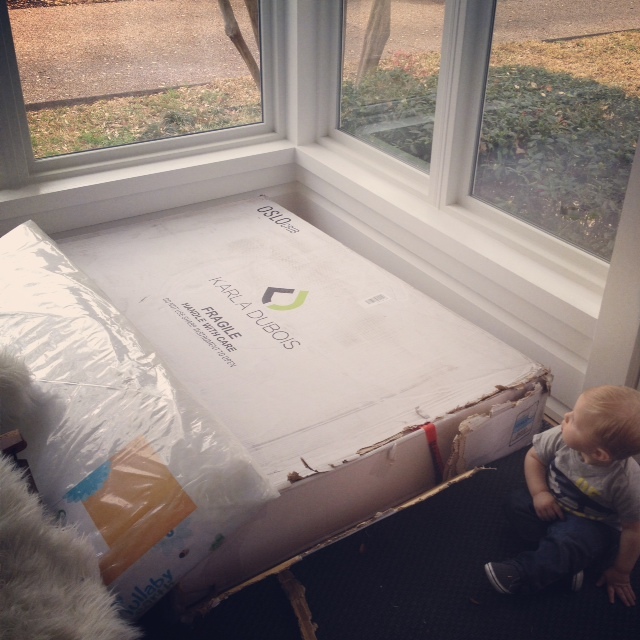 This will be perfect for additional storage under the window. 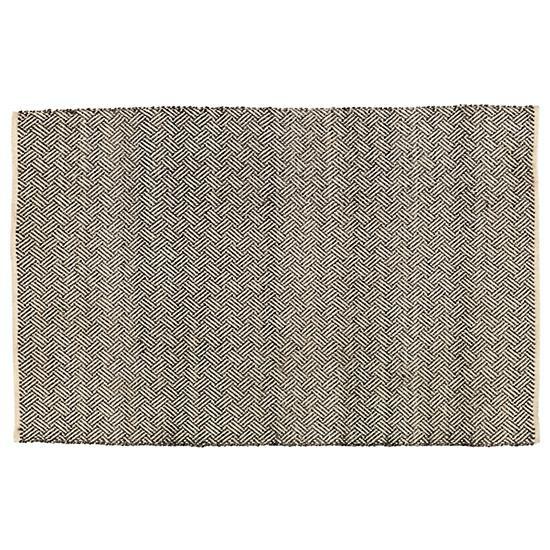 We chose to go with the Check Mix Wool Rug, that I’m totally in love with. Plus, the style is more adult, so it can continue to grow with him. 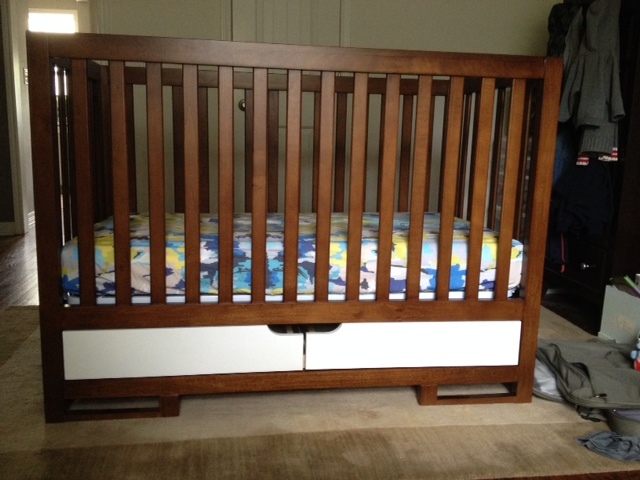 …and the finished product (crib only). 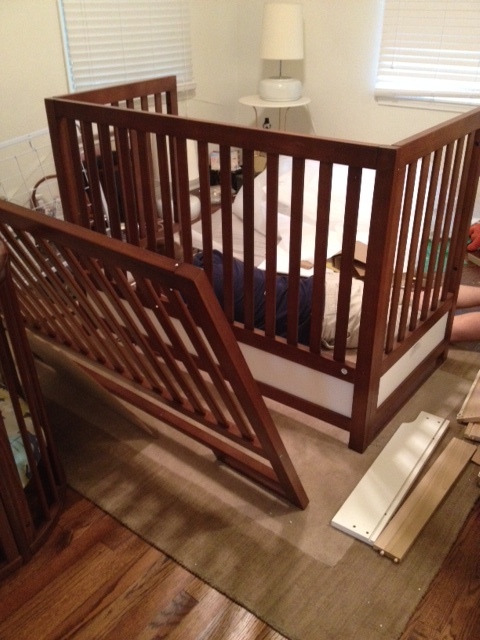 I love this crib, and E slept like a champ in it last night. I can’t wait to put everything together. It’s been a long time coming. 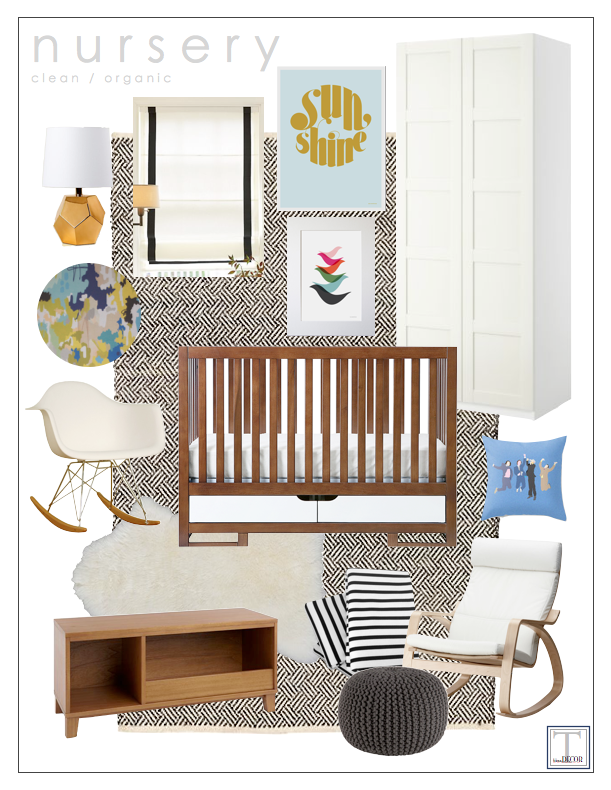 I actually love your new mood board even more! 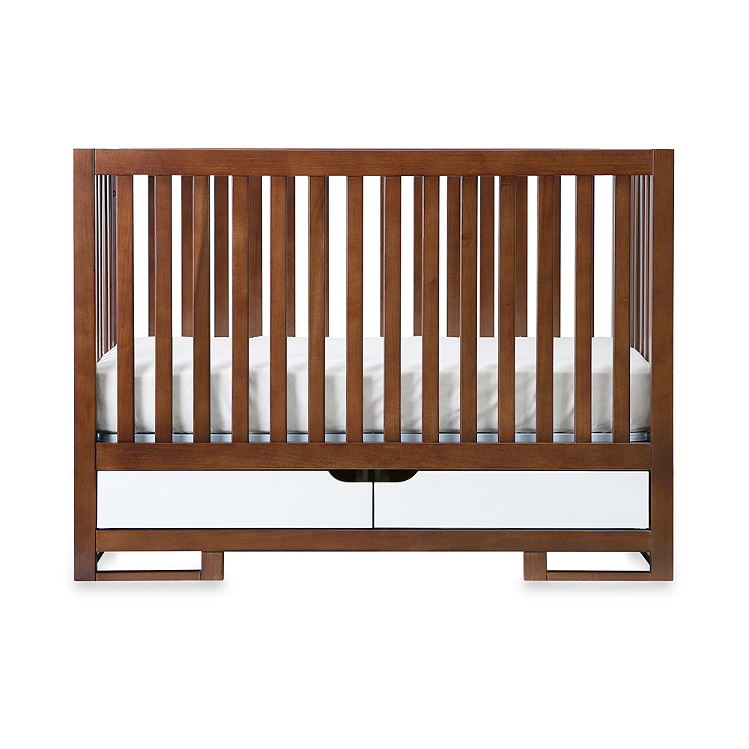 And yeah, that is a great modern crib for the price. Thanks, Jennifer. And I have you to thank for helping me bounce around ideas for under the window. The bench is going to work perfectly. I can’t wait for it to get here! Just perfect. I love the sheep skin rug from Ikea. Would you believe the closest Ikea to Las Cruces, NM is Tempe, AZ or Dallas, TX. 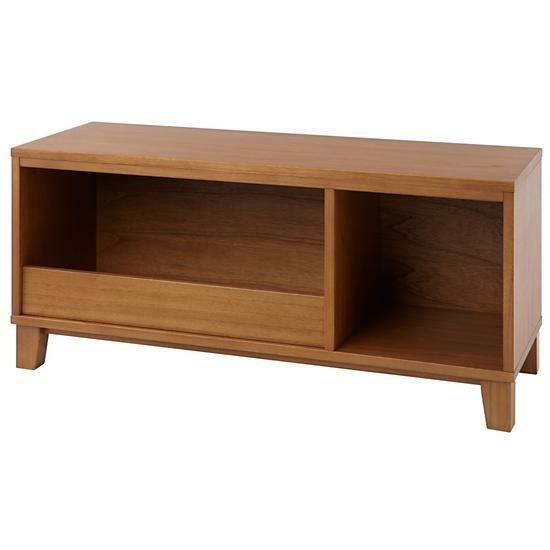 I was pretty bummed I couldn’t furnish my new house because of it. In came Target, Ross and Marshalls. 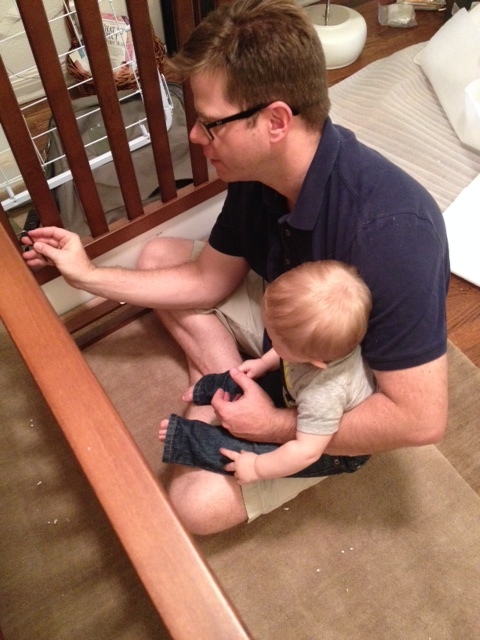 It’s great to see that Rick has another handy man around the house. Too cute!